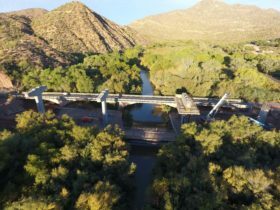 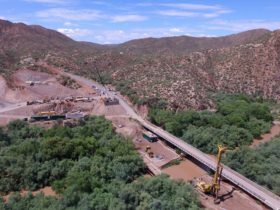 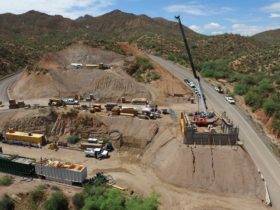 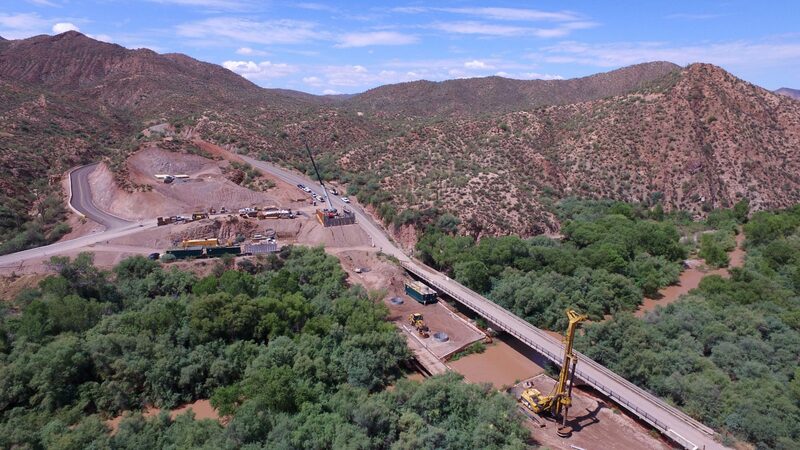 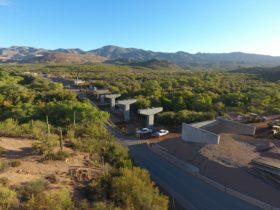 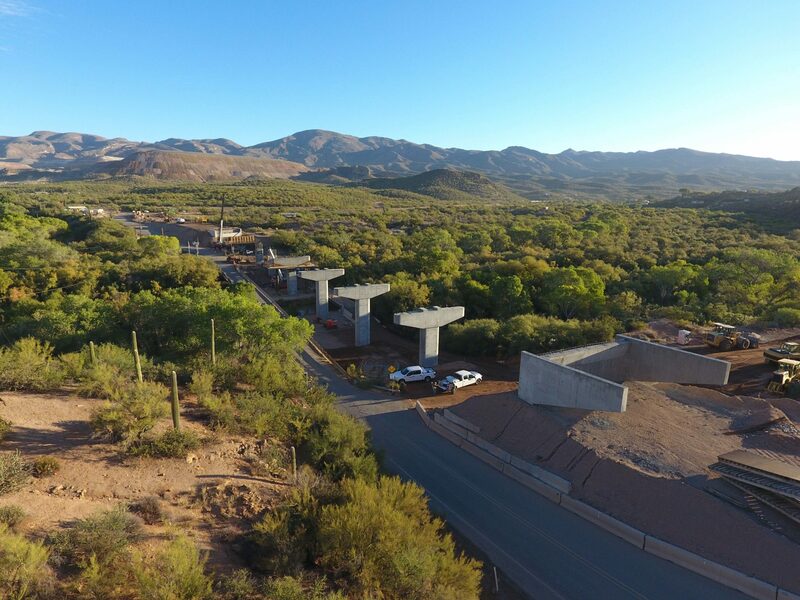 This project replaces a 100-year-old one-lane bridge over the Gila River in eastern Pinal County with a new two-lane, 8-span AASHTO girder bridge, totaling 690’ with the new bridge being constructed parallel to the existing bridge. 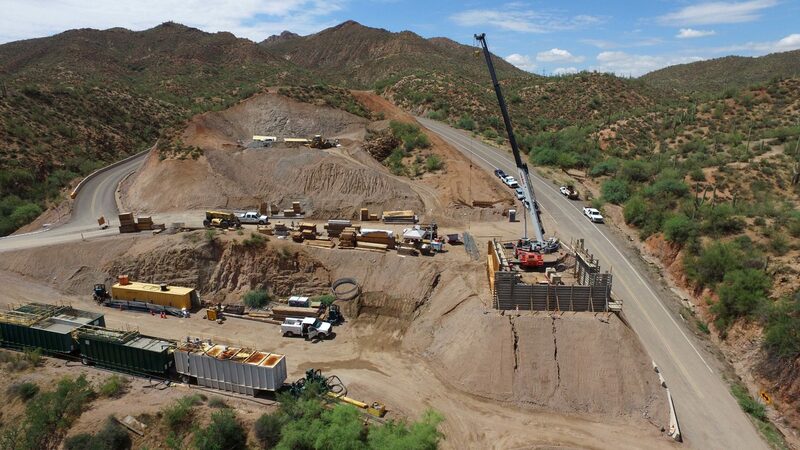 Additional work includes the realignment of Riverside Drive and Centurian Lane. 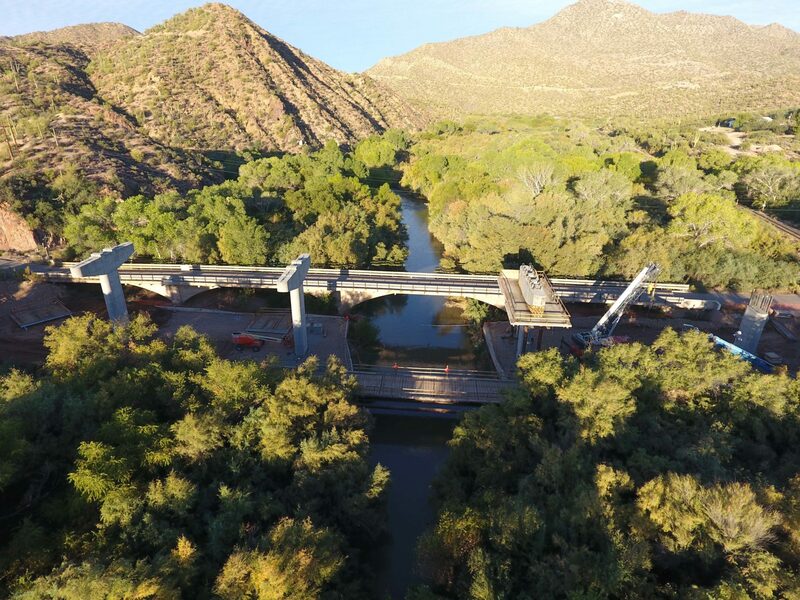 The project involves several environmental considerations – it is located within a critical habitat for several wildlife species, and the Gila River is classified as an impaired waterway.